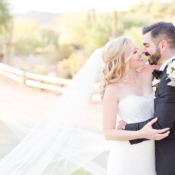 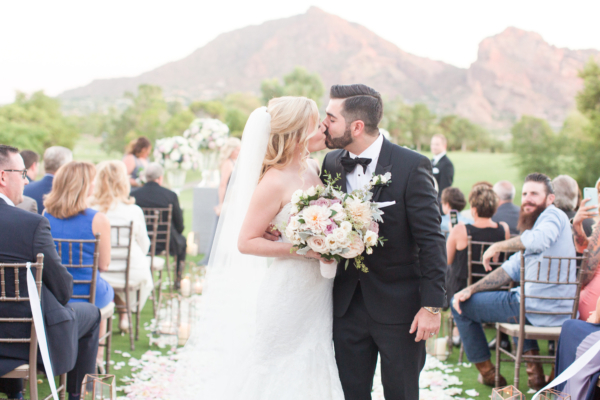 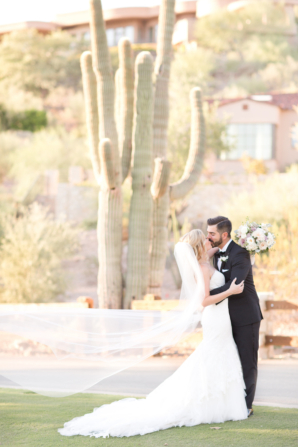 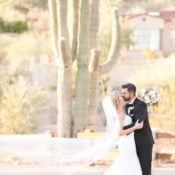 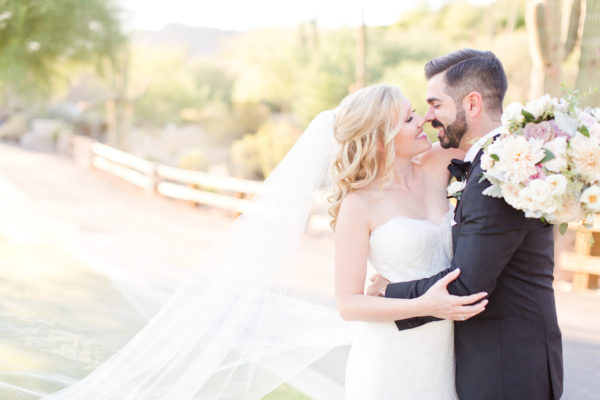 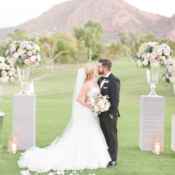 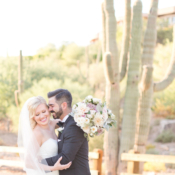 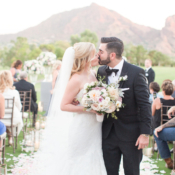 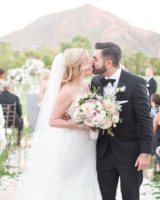 It’s always sunny in Arizona, and the aptly named Paradise Valley Country Club played host to Kelli and Jon’s beautiful autumn wedding, held on a glorious September day. 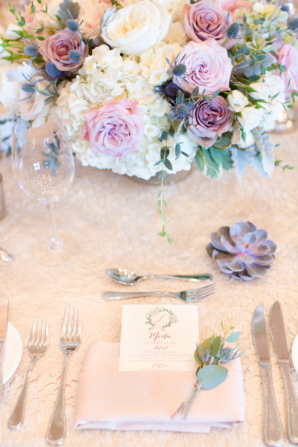 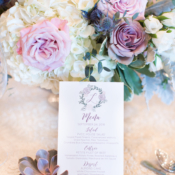 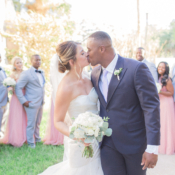 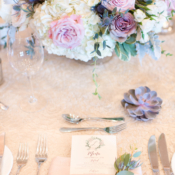 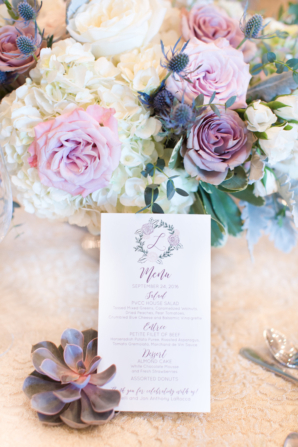 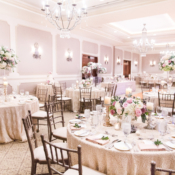 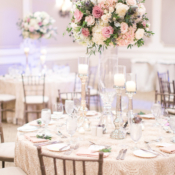 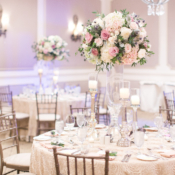 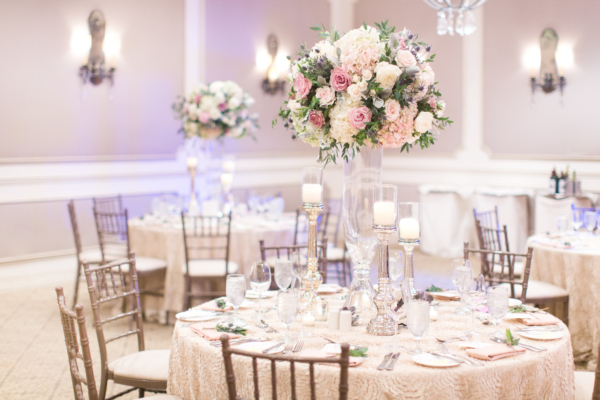 The couple worked with The Flower Studio to create a classic atmosphere with a soft palette of ivory and a rainbow of purples from lavender to plum. 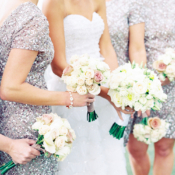 The overall effect was stunning! 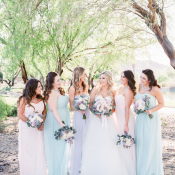 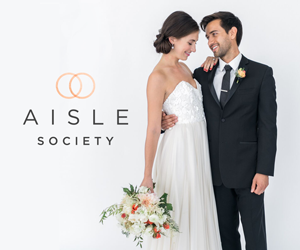 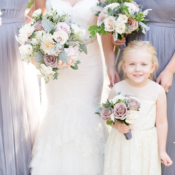 Kelli’s Wtoo by Watters gown and the bridesmaids’ Jenny Yoo frocks were perfectly complemented by bouquets of dahlia, rose, thistle, and dusty miller, while Jon donned a Hugo Boss tuxedo. 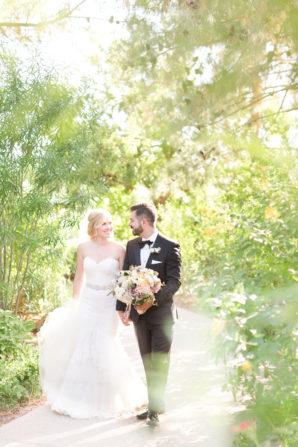 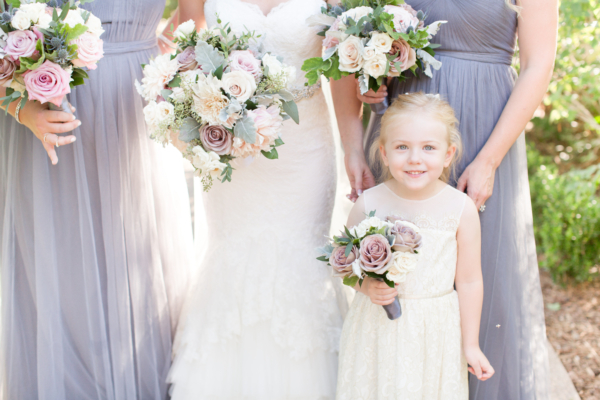 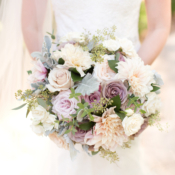 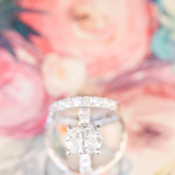 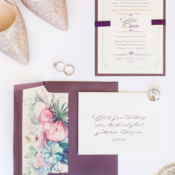 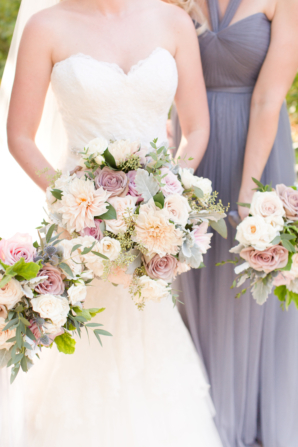 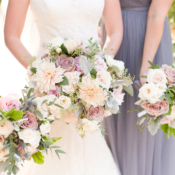 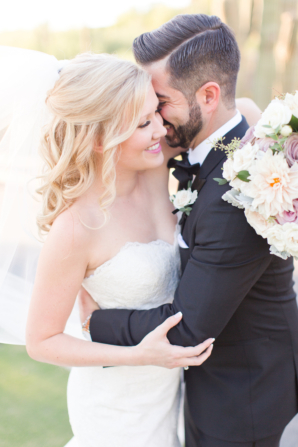 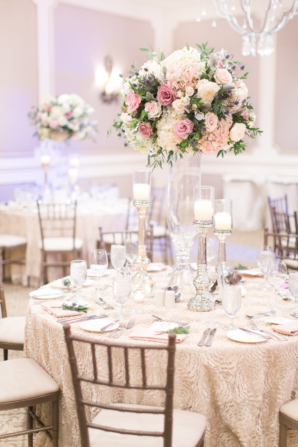 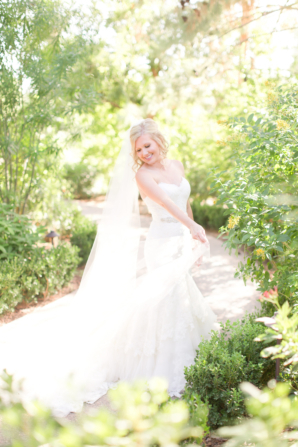 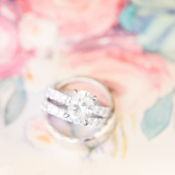 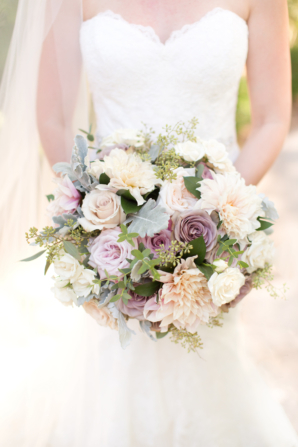 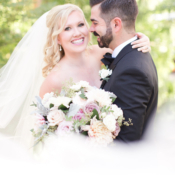 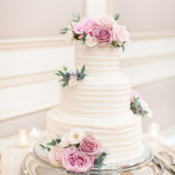 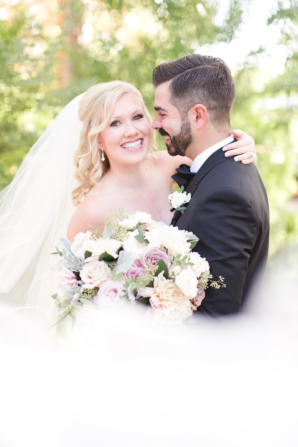 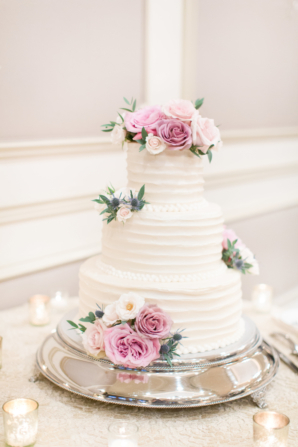 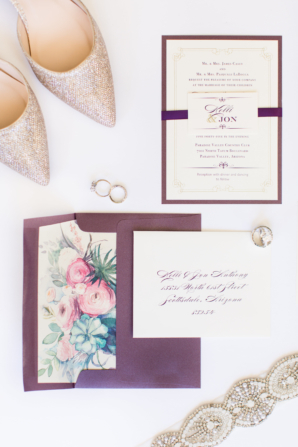 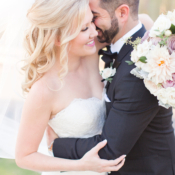 We’re loving all of the light and airy images by Amy & Jordan!